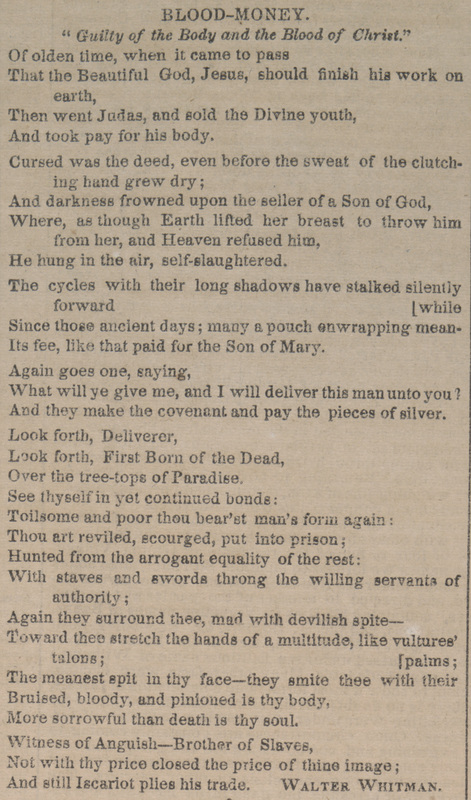 Source: New York Daily Tribune 22 March 1850: 1. 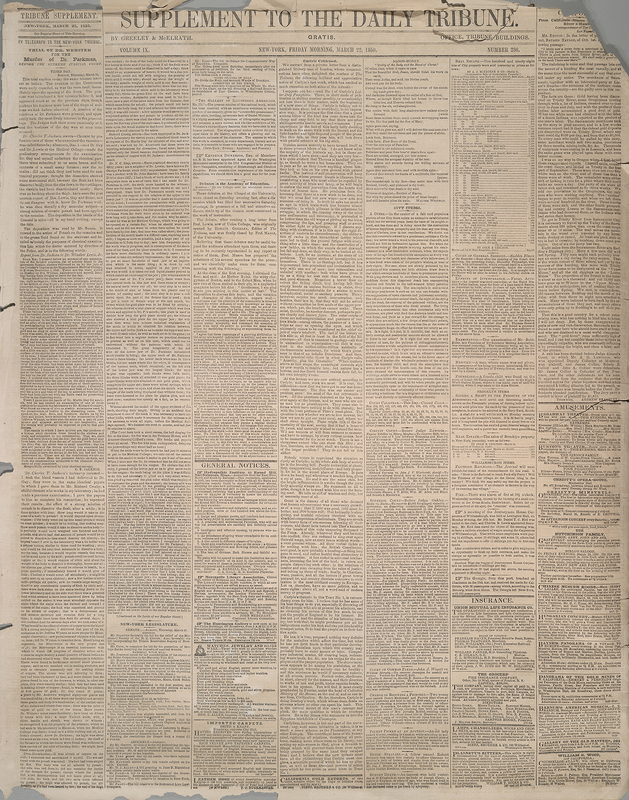 Our transcription is based on a digital image of a microfilm copy of an original issue. For a description of the editorial rationale behind our treatment of the periodical poems, see our statement of editorial policy. Cite this page: Whitman, Walt. "Blood-Money." 22 March 1850. Ed. Susan Belasco, assisted by Elizabeth Lorang. The Walt Whitman Archive. Gen. ed. Ed Folsom and Kenneth M. Price. Accessed 18 April 2019. <http://www.whitmanarchive.org>. "Guilty of the Body and Blood of Christ." He hung in the air, self-slaughtered. And they make the covenant and pay the pieces of silver. Over the tree-tops of Paradise. And still Iscariot plies his trade.